Photograph by Ariel Goldberg, submitted to image collection October 21, 2012. The Smile Face Museum has been featured in the Washington Post, The Baltimore Sun, and on NPR's Morning Edition, Fox News, Paris-LA, Atlas Obscura, Animal, Paper Mag, Buzzfeed, and Russia's Life News. 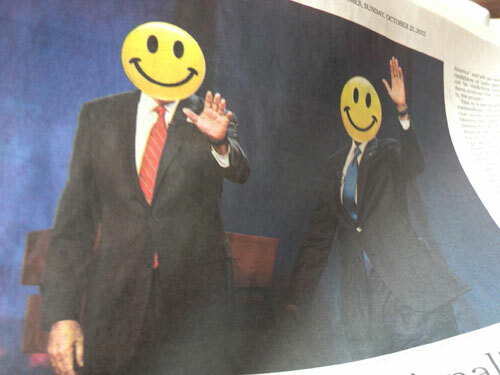 View a copy of the Frieze London 2014 Salon 94/The Smile Face Museum Press Release. View a copy of Brooklyn 2014 The Smile Face Museum Press Release.